This blogpost discusses some of the documents that the Supreme People’s Court (Court) issues and what they mean, particularly to foreign legal professionals who may encounter them in practice. They reflect the bureaucratic way the Court operate (about which I (and others) have written). It is not a complete list, but a description of some of the ones I’ve written about on this blog. Opinions (意见), issued by the Court and other institutions not authorized to issue judicial interpretations. Example: Opinion on Handling Criminal Cases of Domestic Violence in Accordance with Law (Supreme People’s Court，(Law Release (2015) No. 4), The Supreme People’s Procuratorate, The Ministry of Public Security, and Ministry of Justice), discussed here， with normative provisions (instructions to the lower courts–“please implement conscientiously”). 2. Opinions (意见), issued by the Court, but setting out judicial policy. 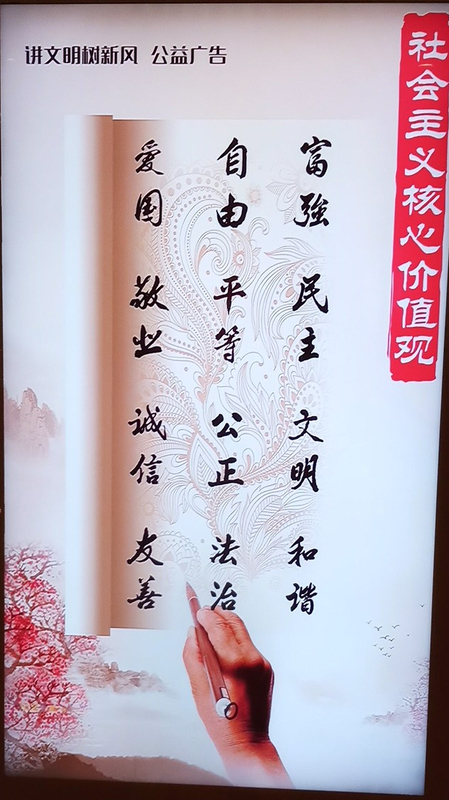 Opinions of the Supreme People’s Court on Fully Strengthening Environmental Resources Trial Work to Provide Powerful Judicial Safeguards for Promoting Eco-civilization Construction (最高人民法院关于全面加强环境资源审判工作 为推进生态文明建设提供有力司法保障的意见) and Opinions on Providing Judicial Services and Safeguards for the Building of One Belt One Road by People’s Courts” (关于人民法院为“一带一路”建设提供司法服务和保障的若干意见) (Instructions to the lower courts– “the following guiding opinion is set out”). These may require further implementing regulations but judgments should be consistent with these opinions. 3. Conference summaries often address new issues or areas of law in which the law is not settled. Conference summaries are not required to be made public, although with the internet and social media, they are now more widely available than in the early 1990’s, when I first wrote about them. 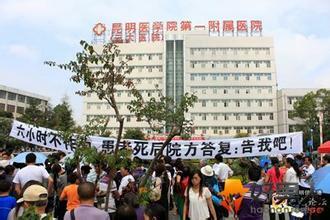 Example: This 2012 response to a report from the Hubei Higher People’s Court: SPC reply to Hubei High Court. In the area of arbitration practice, the principles set out in these responses are persuasive, but not binding in later cases, and arbitration lawyers discuss these responses as a particular form of case law, such as this law firm client alert. Replies (批复). These are seen in requests for lower courts for approval of certain matters, such as having basic level courts hear foreign-related cases, based on relevant law and judicial interpretations. 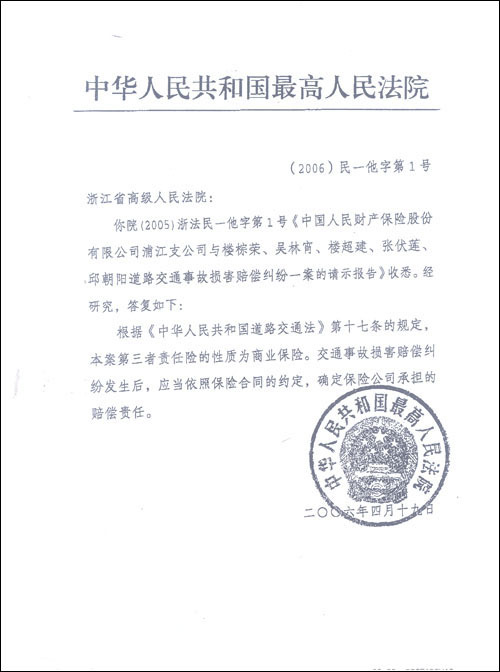 Example, a 2013 reply by the Court to a request from the Anhui Higher People’s Court. These are binding on the lower courts. 5. Decision （决定). These are seen when the Court issues documents setting out an administrative approval. Example: a 2015 decision designating certain courts as model courts for diversified approaches to dispute resolution, mentioned here. My article in The Diplomat on shadow banking disputes was recently published. 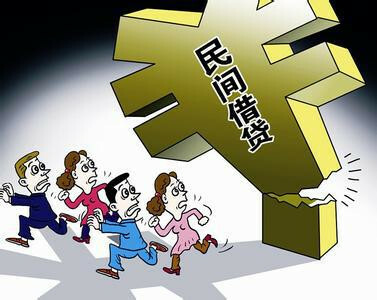 It highlights what few outside of China have noticed–that shadow banking/private lending disputes account for a substantial proportion of civil/commercial disputes in Chinese courts, creating a particular burden on the courts. In some places, the percentage hovers close to 50%! 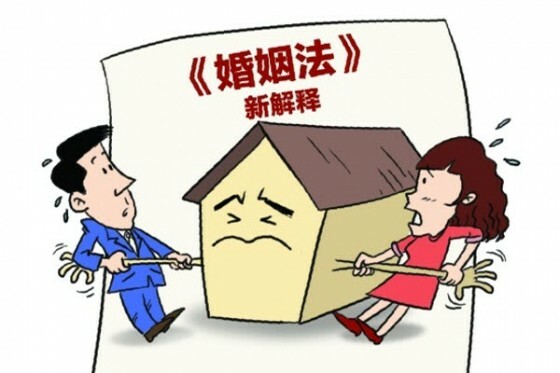 These disputes raise a range of issues and the law is particularly unclear. Although some provincial (and municipal) courts have issued guidance in the absence of a more detailed judicial interpretation, the lower courts are looking to the Supreme People’s Court for a more comprehensive national legal framework. highlights the inadequacies in medical legislation. Why was this document issued? 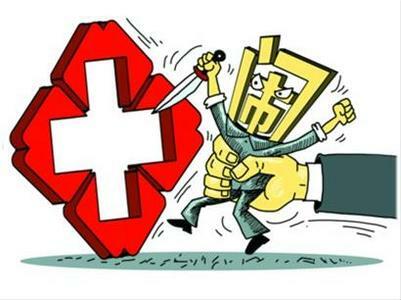 The document was issued to deal with the increasing number of disputes and especially the violence in the Chinese medical system, that have been reported and explained by a variety of sources, including the Lancet, BloombergBusinessweek, and the Atlantic. 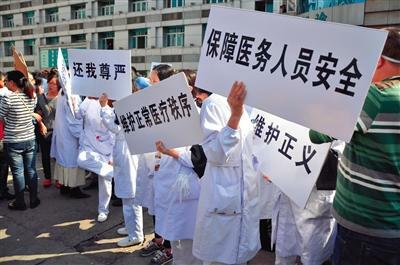 The Chinese press (also academics outside of China and foreign press) has run many stories on “medical troublemakers” (医闹) –either disgruntled patients or their families or people especially hired to make trouble in a hospital to embarrass the hospital to making a large settlement. Why? 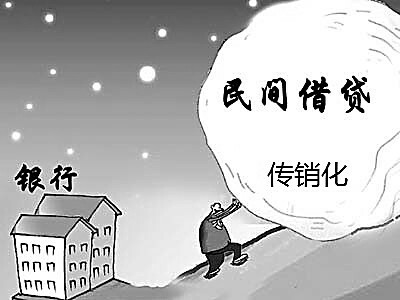 As Wan Xin, a member of the Council of the Chinese Medical Law Association is quoted in a Xinhua press release as saying: “if you make little trouble, you get little money, make big trouble, you get big money, if you don’t make trouble, you don’t get money” (小闹小给钱， 大闹给大钱， 不闹不给钱). State Commission on Health and Family Planning. The Opinion is what in Chinese is called a normative document（规范性文件). As I discussed in an earlier blogpost, the Court often issues them (and has done so for many years). They contain legal rules and policy statements and have different titles from judicial interpretations, in this case “Opinion”. This document, for example, does not fit the legal definition of a judicial interpretation because it is issued with three State Council ministries/commissions, that is three agencies not authorized to issue judicial interpretations. The rationale for this practice is that officials of the administrative organ involved will comply only if their administrative organ jointly issues it with the Court and requires compliance of its subordinates, which in this matter includes the hospitals and other parts of the medical system, the police, and the people’s mediation committees. Normative documents also address issues, such as this one, where the law is unsettled and are also on the political agenda. The substance of the Opinion is in two sections. Instigating others (including family members) to commit crimes against medical personnel. For each offense, a range of punishments is described, ranging from administrative penalties under the Law on Administrative Penalties for Public Security to criminal punishment. if mediation does not work, the courts should deal with the cases in a timely manner. Reform of the medical and health care system shall be deepened. The comprehensive reform of medical security, medical services, public health, drug supply and regulatory system shall be pushed forward in a coordinated manner…Efforts shall be made to improve the work system linking people’s mediation, administrative mediation and judicial mediation, and set up a comprehensive mechanism for mediating, handling and resolving conflicts and disputes. Therefore improving medical security and medical dispute resolution have been high on the agenda of the Central Committee Political Legal Committee. The Opinion and related articles were published on the website of the Central Political Legal Committee and the Chairman of the Central Political Legal Committee has been involved in initiatives implementing the Opinion, particularly the mediation of medical disputes. Therefore, these cases drag on in the courts, and Wan Xin noted that a wait of two or three years to resolve these cases is not unusual. 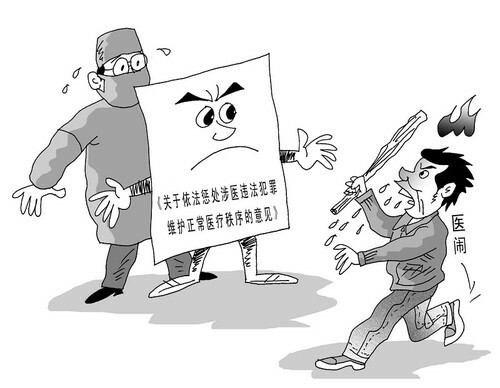 A Beijing judge, writing on social media, noted that medical malpractice cases in his district are “many, difficult, and volatile” (多，难， 激). when will the Court issue a more detailed judicial interpretation on medical malpractice and how will it strike a balance between the rights of patients and the medical system? Can a effective dispute resolution system be devised which can put the “medical troublemakers” out of business? Do foreign medical/legal systems have expertise in medical malpractice that may be suitably transferred to the complex Chinese medical/legal system?